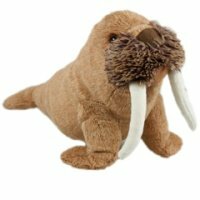 As well as snuggling, Winston Walrus is ideal for playing, fetching, chewing and tugging. Please note that his toy is not designed for excessive chewers. It is made from a premium, extra soft fabric and includes a squeaker for maximum entertainment.